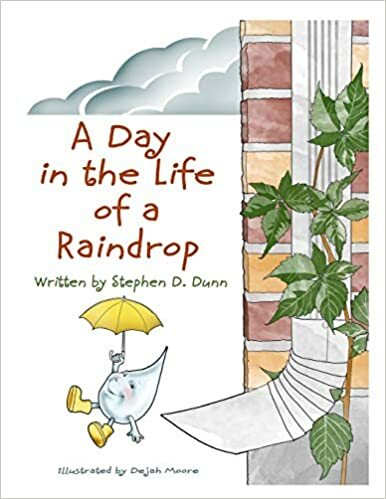 Dunn, Stephen D. A Day in the Life of a Raindrop. Illustrated by Dejah Moore. n.p. : n.p., 2018. A cute book rhyming book showing a raindrop's contemplation as it goes through the day. Unfortunately some of the rhymes took incorrect forms of words in an attempt to make the rhyme fit. Illustrations were okay but not spectacular. I received an electronic copy through NetGalley in exchange for an honest review.